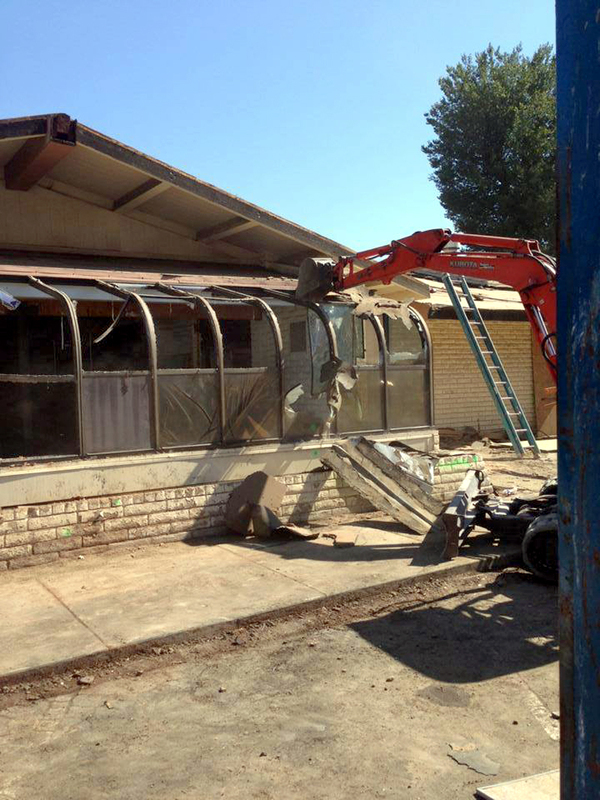 August 2013 — The 1972 Bob's Big Boy Restaurant building at 23701 W. Valencia Blvd. (southeast corner of Valencia and Magic Mountain Parkway) is remodeled into Toppers Pizza Place Valencia — without being completely demolished, city officials say. The property sold for $2.8 million on Nov. 15, 2012 ($1.6 million for the land, $1.2 million for the original 6,185-square-foot building). LW2460a: 19,200 dpi jpeg from smaller jpeg. Source: Toppers Pizza.